Mrs Patterson is our headteacher and Lead Learner. She joined us in April 2017 bringing a range of experience at leadership level spanning 17 years. Mrs Patterson has taught in schools across the south of England and is also a School Evaluation Partner for Dorset schools. Mrs Lombard is deputy head, teaches in Year 6 and is a member of the Senior Leadership Team. She holds responsibility for teaching & learning and assessment across the school. 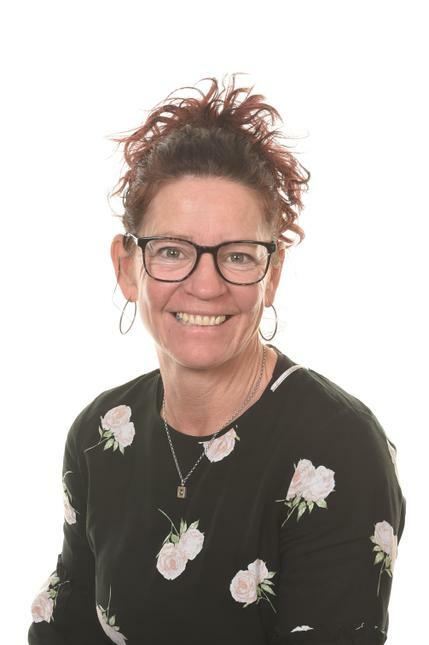 Mrs Lombard is our Designated Safeguarding Lead. She is also a Specialist Leader of Education and has worked in schools in London and Dorset. Mrs Belcher joined us in September 2017 and this year teaches Y3 Penguin class alongside Mrs Boucher. She is our Assistant Head, Pastoral Lead and a member of the Senior Leadership Team. Mrs Messenger joined St. Andrew's in September 2016. She has taught in Year 6 and in Year 4 and is our Special Needs Co-ordinator. Mrs Messenger works on Tuesdays, Wednesdays and Thursdays. She teaches in Y2 Stingray on a Thursday. Mrs Saunders joined us in September 2017 within the Reception team, and has taken up the post of pre-school lead from September 2018. Mrs Croft joined us in September 2017 and and is responsible for standards and progress within the Early Years at St Andrews. She has a dedicated and enthusiastic team and is thrilled to have the Mulberry Bush Pre-school joining the Early Years department this September. Mrs Blackmore joined St Andrew’s School in September 2015 and teaches in Reception alongside Mrs Croft. Mrs Blackmore leads PHSE across the school. Mrs Mitchell joined St Andrew’s in September 2002 and is part of a job share team in Y1 Seahorses. She has responsibility for Worship and leads the Worship Council. Mrs Mitchell currently works on Thursdays, Fridays and alternate Mondays. Mrs Rose joined us in September 2016 and is the other 'half' of the job share team in Seahorse class. Mrs Rose runs and monitors some of our KS1 'nurture' work. Mrs Rose currently works Tuesdays, Wednesdays and alternate Mondays. Mr Spokes is our KS1 Pod Leader and is responsible for standards and progress within Y1 and Y2. He joined St Andrew’s in September 2013 and teaches in our split Y1/2 class, Turtles. He is also responsible for the development of phonics at KS1; Read,Write, Inc.
Miss Roberts joins us this year as Stingray class teacher. She is very excited to be joining the St Andrews' team and we are delighted to welcome her! Mrs Startin joined St Andrew's way back in 1993! She teaches Y3 Seals and is responsible for the teaching and learning of music. Mrs Boucher joined St Andrew’s in September 2003 and teaches Y3 Penguin class with Mrs Belcher. She is responsible for Sport and PE across the school. Miss Randall is our Lower KS2 Pod Leader and is responsible for standards and progress within Y3 and Y4. She joined St Andrew’s in September 2014 and teaches Y4 Dolphin class. Miss Moreton joins us at St Andrew’s in September, moving from the midlands. She teaches Y4 Whale class and is very excited to be joining the team! Mr Cain is the Upper KS2 Pod Leader, and is responsible for standards and progress within Y5 and Y6. He joined St Andrew’s in September 2013 and teaches Y5 Orca class. Mr Warren has been part of the team since April 2000; he teaches Y5 Sharks as part of a job share with Mrs Legg. Mr Warren has responsibility for computing. Mr Warren works Mondays, Tuesdays and alternate Wednesdays. Miss Lyndley joins us for the second part year, teaching Shark class alongside Mr Warren. We are delighted to welcome her back to St Andrews. Ms. Karen Johnstone joined St. Andrew’s as an NQT in September 2000. She has worked in Years 1,3,5 and 6 and has been responsible for the teaching and learning of Mathematics and is a MaST specialist. She is currently responsible for Science and teaches Y6 Swordfish class. Mrs Stone teaches part-time and teaches PE across the school. She also provides staff training and coaching support as part of the Sports Premium Funding.